Summary: Crystal is so delicate that no one can deny its unique beauty. What’s more, crystal healing has been widely used nowadays. Today follow me to explore the history of crystals and crystal healing! 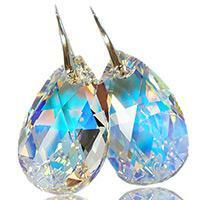 If you are familiar with Swarovski, you may know this company founded in 1895 has a history of more than 100 years. It’s a long history for a company, but compared with the history of crystals, it’s not. The use of crystals dates back to thousands of years ago, even as far as there are records of history itself. Crystal healing has been existing for centuries as well. Now let’s get to know crystal’s history. Crystal came into being when our planet was forming and it experienced all ancient cultures and civilizations. In ancient times, crystals have been used for many different purposes. The use of crystals was recorded as both functional and ornamental. They have been used in medicine and rituals, for healing, scrying, praying, meditation and protection, as offerings and currency. Crystals can be also used as precious gifts and beautiful decorations. The word crystal is derived from an ancient Greek word ‘krustallos’, krustallos is from kruos which means rock crystal or ice. It is originally believed that crystal was a type of ice which would never melt, although the theory has been superseded in 1700’s. Nowadays science defines crystal as a solid material whose constituent atoms, molecules, or ions are arranged in an orderly repeating pattern extending in all three spatial dimensions, from Wikipedia. In the year 1676, George Ravenscroft innovated in the technique of adding lead oxide, which was a significant stride for lead crystal’s mass production today. Daniel Swarovski invented a machine to cut jewelry stones perfectly which was patented in 1892. The invention of automatic crystal cutting machine laid the foundation of Swarovski’s huge success. In 1895, Daniel Swarovski moved his company from Bohemia to Wattens where he could take advantage of the Rhine River to run the machinery. Over the years, the uses of crystals are basically the same as the ancients. There are more usages due to the modern-day technologies, for instance, we found silicon chip for computer technology and used quartz to power clocks and watches. Crystal healing has been used by Hopi Native Americans, Polynesians, Hindus, nearly through all ancient and modern culture. Crystals and some stones, including jade and quartz, have been found in the ancient tombs of Chinese and Egyptians. They were deemed to balance the energy inside our bodies, and they can be used solely or combined with other stones to absorb positive resonances while getting rid of negative energy. In the early 19th century, there were some experiments for testifying the clairvoyant effects of crystals. Though little evidence was found to prove the medical merits of crystal healing, it is still popular as a beneficial complementary treatment. Above are some basic information on history of crystals and crystal healing. 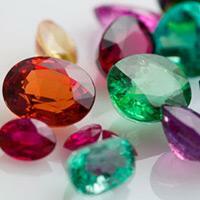 If you are a big fan of crystals, you may want to know crystals’ history through this article. I hope you are interested in these knowledge! Thank for your share information.